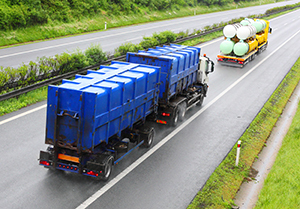 The Environmental Protection Agency (EPA) has recently released e-Manifest, a national system for tracking hazardous waste shipments electronically. It will also serve as a national reporting hub and database for all hazardous waste manifests and shipment data. The EPA’s initial proposal to transition from paper-based to electronic-based reporting occurred in May, 2001, with the goals of cost savings, increased effectiveness of compliance monitoring, and more timely information on waste shipments. “Creation of the e-Manifest system demonstrates EPA’s commitment to innovation and robust collaboration with states and the private sector. Through this extensive modernization of the hazardous waste program, the e-Manifest system will significantly reduce regulatory burdens and save businesses and states valuable time and resources, while improving protection of human health and the environment,” said Scott Pruitt, EPA Administrator. As of June 30, 2018, users must submit all manifests, whether paper or electric, to e-Manifest.